NAUGATUCK — The ebb and flow of businesses in the borough continued this year. Naugatuck Economic Development Corporation President and CEO Ronald Pugliese told the crowd gathered in the Neary Ballroom for the NEDC’s annual meeting last week that the borough made great strides in attracting businesses throughout the year. Pugliese highlighted Kammetal Inc. and Dean Custom Awnings, two business that moved from New York to Naugatuck in 2018. “The reason I keep talking about these two companies is that we hear all the time about the companies that are moving out of Connecticut. 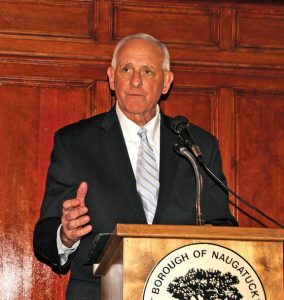 These people moved into Connecticut and they moved into Naugatuck from the state of New York,” Pugliese said. Kammetal moved into the Naugatuck Industrial Park, while Dean Custom Awnings found a home on Spring Street in the former YoCrunch building. Pugliese said Dean Custom Awnings is expected to expand as it closes its New York-based plant and moves more of its operations to the borough. New businesses also started up in Naugatuck, including the renewable chemistry startup company P2 Science, while others expanded, including A Better Way Wholesale Auto, which expanded its operations onto two parcels in the industrial park this year, Pugliese said. Pugliese also pointed to the work done on Parcel C, the former borough-owned lot at the corner of Maple and Water streets. A building, which will include medical offices, is under construction, and a grand opening is expected to happen in March, he said. “Parcel C finally broke ground on March 5 of this year and, as you can see, the building is beautiful,” Pugliese said. However, not everything went the borough’s way this year. Danone North America, the subsidiary of French parent company Danone, announced plans to close the YoCrunch facility in Naugatuck. Pugliese said the decision was made in France and the company will be moving to Texas. “They have been excellent corporate citizens, and they will be missed, but we have a responsibility to find new tenants, and we will,” Pugliese said. Pugliese said the progress made this year will continue in 2019. He said more businesses are expected to come to the borough, including one that will take an unused portion of the building Dean Custom Awning owns. There is also interest in the former Yelding Inc. building in the industrial park, which is the last vacant building in the park, Pugliese said. “We are very excited about that,” Pugliese said. 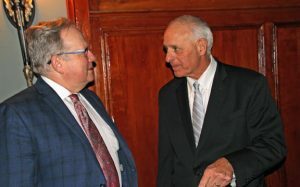 In the coming year, Pugliese said, the borough will work with Waterbury on a joint project to develop a roughly 156-acre property that straddles their shared border. 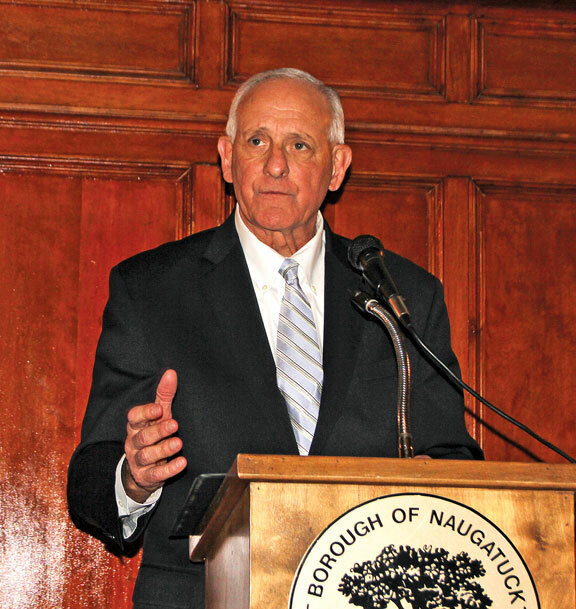 He added efforts continue to make the Port of Naugatuck project a reality. “The town is doing very well. The grand list is improving, and we have other very strong possibilities for the new year,” Pugliese said.